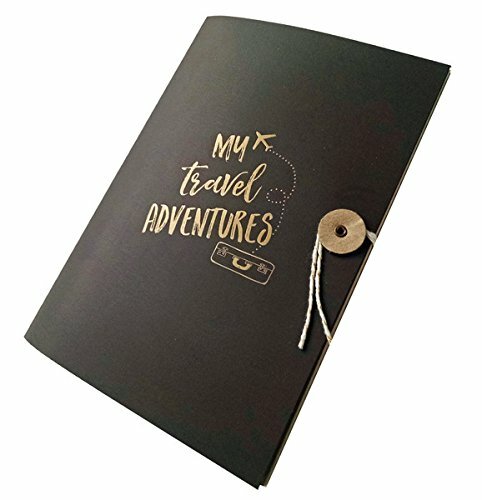 We created this sturdy notebook journal for the traveler who loves to write and document their journey. This is a perfect gift for anyone who loves to travel, a student or recent grad. Each notebook is approximately 5.25" x 7.25" in size. The cover is composed of a sturdy espresso brown stock letterpress printed with My Travel Adventures, plane and suitcase in gold ink. An ivory pocket is found on the inside of each journal to hold travel keepsakes. Each notebook is finished with a handmade kraft button and gold and ivory baker's twine embellishment. Found inside each notebook are 24 pages of kraft paper with a staple binding. If you have any questions about this product by Idea Chic, contact us by completing and submitting the form below. If you are looking for a specif part number, please include it with your message.